Parents have the responsibility to provide and care for their children. The court views this duty seriously, particularly in cases involving child support payments. Regardless of your circumstances or situations going on in your life, penalties for violating an established court order can be severe. Before it gets to the point where you are facing enforcement actions, which may include asset seizures and a potential jail sentence, speak with our Fort Lauderdale child support attorney about your options in getting your order modified. If you are a parent going through a divorce or involved in paternity proceedings, a child support order is likely to be issued through the court. Based on both parties incomes and the needs of the child, a specific amount with be determined, along with a timeframe on when payments must be made. Suspending your business or driver’s license and vehicle registration until past due amounts are addressed. Be aware that not complying with a child support order could also result in charges of contempt, with the potential for a possible jail sentence until outstanding amounts are paid. Changes in the child’s needs, such as switching from private to public school or obtaining lower cost health insurance. Rather than waiting until the situation becomes urgent and you face enforcement actions or court penalties, it is best to address problems with the amount of child support ordered early on in your case. When faced with unforeseen circumstances that prevent you from paying child support, contact attorney Vanessa L. Prieto. 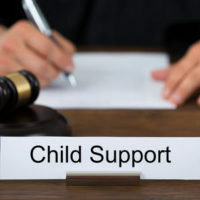 As an experienced Fort Lauderdale child support attorney, we can advise you on the potential options to get you back on track, while protecting you against possible penalties. Call or contact us online today.